Promotion Marine is a company that has evolved from recognising a need for professional camera boat operators, equipment and support for the film industry. Pro-Motion Marine's staff has over 60 combined years experience on the water, not only on small boats but also on ice-hardened ships working in the northern waters. Our affiliated company, Jet-Set safety has years of experience on boats and aircraft, and set safety. We studied the operations of other camera boat and marine companies and started from scratch to design equipment that would get the shots in an economical manner. We spoke to several key grips, gaffers, camera operators, and focus pullers to get their wish list. Production, film directors and art departments people gave us insights as to how they wished to work, and who they needed on board. We designed special tow rigs, for subject boats, a 24-foot dolly platform on both sides of the vessel from the water up, the ability to carry 16'- 20' cranes and have the grips operate them easily. You can put lighting, bounces, sound, and the crew all on one vessel at one time. Hair makeup and extra personnel right beside the camera boat and a fast support boat capable of carrying 5000 lbs . at 35 mph or fast shots at 55 mph . Practical Hi-Tech inflatable safety vests that are so comfortable, you do not notice you are wearing them. Pro-Motion Marine's focus today has become marine coordination. By early planning during pre production, we can start with location visits and move on to the logistics with the unit production managers and producers. 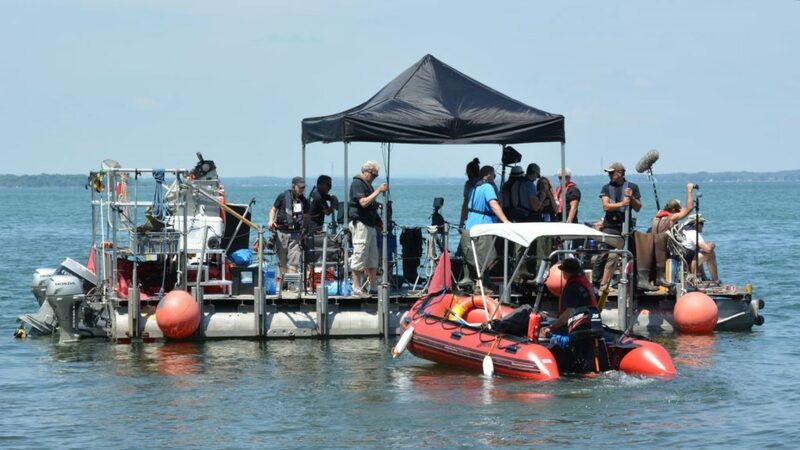 Being able to bring your film crew on to the water with all the necessary gear, operators and actors allows the filming to go much faster with out down time. Boats are available for hair and makeup craft and back and forth to base camp. Securing suitable marine locations and equipment, making allowances for cover set work and reading the weather are all part of the service. Safety equipment, boats, divers, and the right personnel are just part of the package. We coordinate with special effects teams for explosions, bridge jumps, fires, gun fights, crashes and anything else you can think of. Get a closer look at our equiment. Call or email us for more information on our Pro-Motion Marine services.